Elephants are not carnival rides. Image from Wikipedia. My name is Frank Bloksberg. I have lived in Nevada City for about 18 years. I am a lawyer and run a martial arts school, in Grass Valley, called Aikido’Ka. At Aikido’Ka, we train in aikido – known as the “Art of Peace.” Aikido’Ka is different than other martial arts schools, because we are dedicated to peacefully resolving disputes and performing community service. For instance, we have raised over $13,000 and 6,000 pounds of food for the Food Bank. Aikido’Ka has been open for 6 years. We’ve had a booth at every County Fair since we’ve been open. The County Fair is a huge outreach opportunity for us. We meet a lot of our future students there. Deciding not having a booth is a really big deal for us. Aikido is based upon respect – respect for our fellow students, teachers, our training space. The respect inherent in aikido is a deep, profound respect. Without the support, trust and willingness of our fellow practitioners, we cannot practice the art and improve ourselves in the ways that aikido provides. By design, the respect that we learn spreads to the rest of our lives. And for that reason, I have to seriously consider the respect/ethical implications of supporting a Fair that offers elephant rides to entertain children. Elephants are intelligent, wild and very dangerous animals. The only way to help ensure that they are reasonably safe in unpredictable public situations is to use training techniques that are extremely powerful. We know that the training techniques involve some pain and fear. Whether the training techniques are brutal or abusive doesn’t matter. One may be able to argue in good faith that abusing a creature is ethical for an incredibly important purpose. Or one may be able to argue in good faith that causing pain and fear in a creature is ethical for a really good reason. I might disagree with these arguments, but one may be able to make the arguments in good faith. In my personal view, the value of entertaining children with an elephant ride is trivial, at best. In other words, what a child receives from riding an elephant is not worth putting the elephant through anything at all. It certainly cannot justify taking elephant babies from their mothers or putting elephants in fear or pain. It certainly cannot justify the risks involved in moving elephants around the country and placing them in unpredictable public situations where they can hurt people. To me, the only ways to conclude that elephant rides are appropriate is to consider the rides of far greater value than I do or to completely disregard the elephants’ interests. Please do not think that I am placing the elephants’ interests over human interests. I am saying that we must consider the elephants’ interests to ethically decide what to do. And, here, where the value received from elephant rides is so small in comparison to the harms inherent in offering elephant rides, I cannot ethically support the rides. Now that I have concluded that offering elephant rides at the Fair is unethical, should Aikido’Ka have a booth or perform aikido demonstrations at the Fair? If respect means anything, acting respectfully must include acting ethically. If Aikido’Ka supports the Fair by participating and paying our fees, then we directly and indirectly support the presence of the elephant rides. We would support the rides directly because HTWT will not be paying the Fair anything at all. So we would, in part, be paying for HTWT’s presence. We would support the rides indirectly by letting the Board know that we will support their decisions even if those decisions are unethical. We could have a booth and place a banner saying that we don’t support the elephant rides. We cannot do that, because that seems hypocritical to me. We’d be supporting HTWT’s presence, while trying to convince everyone that we didn’t. For these reasons, and others, we won’t have a booth at this year’s Fair. Each year at the Fair, we offer a “Fair Special.” The Special is always really good. Since we won’t be at the Fair this year, we’ll be offering a really good “Un-Fair Special.” Please watch for it. We’ll announce it soon. Yes, good for you & the elies! Thank you Aikido’Ka for sharing your beautiful thoughts and reasons why you will not be at the Nevada County Fair. I love your arguments regarding the price the elephants have paid to become entertainment for children. Beautifully put. Thank you!!! I hope that your message spreads through the community! Your students should be proud and I hope your conviction and honor invites even more students. This is the most incredibly sensitive, intellignet, logical, powerful letter concerning the elephants at the fair that I have read, or will read. I have profound respect for this man and his business. If the world were only full of these kinds of people and businesses…..
Wow, Kathy, you leave me speechless. Thank you for your kind words. Kudos to you & your organization for making the difficult, but ultimately ethical, decision to abstain from a booth at the fair. I applaud your commitment to the principles of Aikido. Thank you, Jessica. I appreciate you understanding the difficulty in making this decision. Thank you. You serve as a model of how to have a business . Thank you! Thank you for your support, Kathy. We’re just trying to do the right thing. I have never thought about taking up martial arts. Until now. Thank you so much for taking a stand. This has become such a divisive topic in this community, and people are turning against their friends and berating others for their opinion on the matter. So many people in this world refuse to risk anything to stand up for what they feel is right, and you have my utmost respect for holding your ground. Thank you for your kind words, Shannon. I don’t think of myself as “holding my ground” as much as simply sharing my thoughts and acting on them. Thank you from the bottom of my heart. I appreciate your thoughtful words to communicate as much as I do you taking action. A voice of reason and intelligence. We can only hope others will do as you have done. Thank you. Thank you, Ann. I hope that others speak up, too. Wow, what poignant words. Thank you. I have been following this issue since I heard about it, and your letter really cuts to the heart of the issue in a way that clearly illuminates what is at stake here. I understand that by pulling out of the fair, you risk losing future students, and yet cannot agree to give your financial support by paying a fee and thereby silently backing this unjust act. I respect and support your decision to withdraw from the Nevada County Fair and hope that others local businesses will follow. Thank you for understanding and for your support, Lindsey. Please send a copy to this letter to the Fair Board and to the Union and Yuba Net. I meant to do so last night, but it didn’t happen. I’ll send it on ASAP. And thanks for the support, Sandi! I entered the Fair’s Food competition for my gluten free Miss Paleo cookies. Over the last few months there has been a huge controversy over the fair having elephant rides supplied by a company that has been sited for animal cruelty. That aside why do we have to have elephant rides at the fair? Why aren’t we allowing these and other creatures to live in their natural habitats? So, with much disappointment I am withdrawing my entry and letting them know I will not be supporting the fair this year. It’s a difficult decision to withdraw from the Fair. Thank you for standing up for what you consider right. That’s is saying something Patti, thanks for withdrawing. Thank you for standing up for what’s right, even at the possible loss of income (via new student enrollment) to your business. It’s encouraging to see business owners in this often “good ole boy ” community step out of the shadow of public pressure and do the right thing. We’ve been talking about enrolling our daughter in martial arts training – you’ve just made it clear which studio we need to visit. Thank you again Frank for taking a stand. I hope others will follow your lead. Thank you for your kind words. Doing the right thing is kind of the point of aikido training, even though that’s really tough to do. I really look forward to training with your daughter. She’ll have a very good time learning the Art of Peace! Please send this to your local newspaper for them to print and build public awareness. Thank you for standing up for these wonderful creatures! I’m sending it to them. Thank you for your support and kind words. A little convoluted to read, but the right decision. And I hope that righteousness comes back to you ten fold. I’m sorry you found the letter convoluted, but I’m glad that you agree with it. 🙂 Thank you for your support. Oh Thank you so much for standing up for these elephants. Thank you thank you! i find it sicking that these beautiful mammals are being used for human amusment, the fact that the human race do not get the fact that they are used and abused for money, pouched for thier Tusks, used in circus es to dance! these beautiful Animals should have the Respect they deserve. Thanks for your support, Katrina. Thank you for your kind words, Priscilla. I have not heard of The Gift of Rain. I’ll check it out! Thank you for your support, Barbara. Join us in the first ever International March for Elephants on World Animal Day, Oct. 4. From city to city across the world, we will be taking a stand against poaching with a clear message: Enough is enough! Our governments must ban ivory now to save the earth’s elephants from extinction. Marches are happening all over the country. Visit http://www.iWorry.org to learn more today. Wow, that sounds cool! As soon as I get a chance, I’ll take a really good look at the website. Feels to me like you are riding the current wave of emotion. You have had a booth at the fair for 6 years now, yet every year they have livestock and horse events. So by being there you support the breaking and training of those large intelligent animals. So I guess the question now is why has the line been drawn now? And beyond that, will you be at the fair in the future now that I have made you aware of the other large animals there who have been “disrespected”? You make a good point about other large animals being at the Fair. But those animals are domesticated and unquestionable an integral part of Nevada County life. The same cannot be said for elephants. I see the distinction between horses and elephants as being pretty straightforward, though I could understand how someone could disagree. 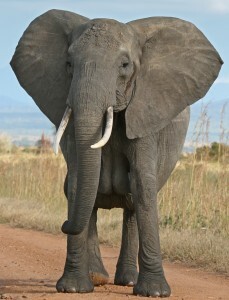 In other countries elephants are a “domesticated” and used as pack animals and to ride. some countries use llamas, some countries use camels, our country uses horses. Training is the same all over the world, the animal’s spirit must be broken, or “disrespected” as you call it. Just because there is an obvious difference between a horse and an elephant doesn’t mean that your ideals should change. You say yourself that the spirit of Akido extends to everyone and everything around us so why would it be ok to say it is ok for the spirit to protect those animals over there but not these animals right here? And thank you for your response. I honestly don’t know that what you’re saying is correct, that “the animal’s spirit must be broken . . .” I am pretty convinced that humane ways exist to train animals. People in third world countries do use elephants as pack animals, likewise for llamas. So what? We don’t live in a third world country. We have no need for working elephants. The folks in those third world nations may be able to make very solid arguments that their lives are made liveable, or just tremendously enhanced, through the work of these animals. I can’t see how it’s my place to tell them they shouldn’t do that. In other words, these people have really good reasons to use working animals. As I explain in my open letter, no good reason exists to use elephants as carnival rides in Nevada County. As I also explain, doing so is unethical. Here’s another way to think of it — don’t let the perfect be the enemy of the good. I can act on behalf of the elephants here and now. That seems good to me. It’s not perfect, I know. But I can do it and I am. Ryan: I completely disagree with your assertion that an animal’s spirit “must be broken” as is evidenced by the overwhelming number of horse trainers, dog trainers, etc. who use humane methods for training,not “breaking”. We as a culture have come so far beyond the “breaking” mentality that it shouldn’t even be an issue anymore. What these people do is NOT training, it is “breaking” and as such is cruel & inhumane. There is much evidence that these animals will someday snap & injure & kill someone when they are pushed beyond their limits. There is no excuse for this kind of treatment, especially when it has been proven that elephants in particular are sentient, intelligent beings who deserve our respect & protection. I will not be attending the Grass Valley Fair, even though it is one of my favorites. By paying admission or parking or buying anything there, I will be contributing to this degrading exhibit. I have learned some interesting information since I wrote this post. Here’s what I’ve learned from someone with significant experience with elephants: The fact that elephants are not domesticated is important. Elephants aren’t wired, at all, to get along with people as are domesticated animals. Domesticated animals can be trained with love and kindness, because they’re wired to be social with humans. Apparently, not so with elephants. If an elephant doesn’t want to do something, a human isn’t going to be able to train it lovingly to do that thing. The only way for the human to get the elephant to do the thing — and be safe around humans — is to get the elephant to really and truly fear you. To make an elephant really and truly fear people for rides is inhumane. Period. Thank you for taking a stand and sharing your reasons. As an elephant lover and an Aikidoka, I love you for the stand you’ve taken. We have so much to learn from elephants and their society and we disgrace ourselves in debasing them. Osensei encouraged us to learn from nature and he taught the interconnectedness of all life. To cherish elephants is to cherish ourselves. I am sending a small contribution to your dojo as a way of helping out with lost income from the fair, and simultaneously as a way of helping elephants. Thank you for your wonderful note. Your eloquence and generosity are humbling, to say the least. Seems like a stretch to me. thank you for your integrity. thank you also for the love! may they both become epidemic. Thank you for the integrity and love you bring to the mat and friendships. I deeply appreciate your support and kindness. Thank you for showing that respect does not have compartments and time-slots and conditions under which it is to BE in how we be-have. I am so glad you have stood in full statue as a human being and spoken out to explain your stance (of course, you would be quite good at explaining stances as a martial arts instructor). It is people and businesses like you who will cause me to return to Nevada County in the future, for I have sworn off that destination contingent entirely on the Board’s decision. They have driven away attendance of residents and non-residents, they have added hugely disproportionate risk of danger and caused unwarranted strife and division in the community… all for what? An accessory to the theme, a pet vanity. They have undermined all the rest of the fair attractions, meaning the county itself, because this hire is not even from the county. It is like someone obsessing over a pair of high-heeled platform shoes they think MUST match their outfit, not realizing how awkward it is, stumbling and knocking into others… and it really does NOT make the outfit look good at all. How simple it would be to improve the whole situation. But egos have been unleashed, more bullish than the bull elephant. They could all do with some training in the philosophies and self-discipline of the martial arts. Bless you. Thank you for your thoughtful comment. Your shoe analogy is a good one. Your sentiments fill my heart with gratitude and respect for your kind and ethical decision. It’s not always easy to run a compassionate-values-based business in this culture where the mighty dollar rules. And yet, if we can not live by heart, then what’s the point? It is my hope that other vendors will recognize your dedication to treating all creatures with care and dignity and also withdraw from participation in the (un)Fair. May your studio be filled with your ideal number of willing and appreciative students! Thank you for connecting the dots. Thank you for making the right decision rather than the easy decision. I see these elephants as prisoners and slaves – it’s disgusting. What’s even more disturbing is that the horrible treatment of wild animals for human greed is so widely accepted. One way to change this is by not supporting these acts. In other words, making it unprofitable. Your actions speak more loudly than any words could. Your heart obviously comes before money. Thank you for that. Thank you for your kind words, Nancy. Making the “right” decision is not always easy, but sure can feel good. There is a saying “If you don’t stand for something, you’ll fall for anything” – it’s a bit trite for sure, but it has merit. I applaud you for taking a stand for something you believe in. I won’t be going to the fair either. Elephant rides are SO last century! Thanks for the support. I agree that we must stand up for things we consider important, even if other disagree. And, yes, so last century. Because you’re putting ethics before financial gain I’m impressed with your integrity. You certainly practice what you preach. Thanks, Janet. I appreciate your kind words. Thank you. Very well said. It is a simple matter of respect. And what is “necessary.” Elephant rides for kids — no way. The cost of the training .. the “ruling’ .. of these amazing animals … nope … not for a ‘ride”. Thanks for taking the time to write this. Thank you for standing by your convictions. Big elephant hug. Big elephant hugs sound very nice. Thanks for your comment. I have a huge amount of respect for your convictions and the idea behind them! I do disagree however the role in wich the elephant rides play in our lives, as it is through them and the circus acts that have shown and enlightend most of us as to their personalities and intelligence. Due to this we are able to feel more compassion as we connect and feel for them. I do wish there were a middle ground that their lives and ours might coincide? Again I have tremendous respect for the honorable intentions that you display! I only hope I am understood rather than lashed by your honorable following? You definitely won’t be “lashed” around here! You are entitled to your opinion. I really appreciate the respectful way you share your opinion. You may be correct that many people have learned about elephants through circus acts. But, sadly, since such activities are so very often abusive, I can’t see any way to support them. I also can’t get past the idea that exotic animals can ethically be used as entertainment even if they’re not abused. Thank you very much for sharing your thoughts. And thank you for your kind words. I wasn’t aware of this until you had brought it to my attention. Thank you. i appreciate the letter you wrote very much. It’s articulate and well stated. The value of respect and ethics are represented well in your thoughtful words. i especially appreciate what you said, “If respect means anything, acting respectfully must include acting ethically”. Our family has enjoyed the fair in the past as well but this issue gives us cause to reconsider. Thank you for your support. I appreciate it. I hope all is well with you and the family. Thank you for your thoughtful response. I really appreciate the support. My daughter Ivy is a 4.0 GPA student, her reward from her school for her excellent grades is a free admission to the fair and a wristband that allows unlimited rides, she looks forward to this gift every summer. Our family including Ivy will NOT be attending the fair this year in protest of the abuse of Elephants and ALL animals. Thank you for sharing, it is so nice to know that their are other people who are not attending the fair because of the unethical treatment of animals. I hope Ivy isn’t too upset at missing out. Please bring her by the dojo during the Fair and we’ll do a special extra-fun class with her, for free, of course. I’ll make sure she has a great time. And thank you for the kind words and standing up for what you think is right. Thank you so very much for offering Ivy a class! I will be sure to bring her, i am sure that she will love a new experience. Not going to the fair this year is tough on her, although she understands why, having an alternative option is going to surprise her. You’re welcome. I look forward to seeing you and Ivy at the dojo. I was Frank Sensei’s student for several years until I moved from the area. I was the first of his students to earn a black belt at his dojo in 2008 and I’m forever in his debt for the amount of time he unselfishly spent helping me achieve my goal. He’s an amazing person & he continues to impress! My daughter-in-law and 10 year old grandson just got back from a life altering experience, volunteering at an elephant rescue reserve in Thailand. The elephants they cared for are the ones that survived, but didn’t pass the brutal training program that all elephants must go through to become docile enough for our kids to ride. Some of them had been blinded by their trainers, others had feet missing from being beaten while chained to a tree (and left to die). There were lots of baby orphans whose mother’s had been killed by their trainers – many die from infections from wounds inflicted from beatings. They saved a long time to be able to afford a trip to Thailand. The work was hard. In blistering heat in a typical day, they cut bamboo with machetes and hauled it from the jungle to feed the elephants who could no longer fend for themselves, they shoveled elephant poop, they helped dress wounds. It’s so good to hear from you. I really hope you are well. Yes, indeed, Pat is the first person to be awarded a black belt at Aikido’Ka. I still miss training with you regularly. The poor newer folks at the dojo don’t know what they missed having you around. Your comment is very moving and adds a great deal to the discussion. Thank you for the important perspective. OK …. I will play devil’s advocate here. Would you have the same reaction if they were offering horse or pony rides for children? One could argue that training horses, so that they would be docile and safe around young children, also involves pain and fear. No horse, even domesticated ones, are naturally inclined to bear a rider, let alone a bunch of different riders all the time. That takes a lot of animal training, involving some pain and fear. So, the question becomes do you object to the elephant rides for children or animal rides in general? Are you being biased in your decision not to attend the fair because it is an elephant ride and not horse or pony rides? I basically already answered this question responding to Ryan. A couple of preliminary thoughts: I’m not reacting; I performed a reasoned analysis. Second, I don’t know that all training involves pain and fear. I have reason to think otherwise. Please consider this analogy to the U.S. Constitution. The Eighth Amendment prohibits cruel and unusual punishment. The Constitution does not prohibit merely cruel punishment — that punishment must also be unusual. In the constitutional context, “unusual” means that the punishment is substantially rejected by contemporary society. Non-contemporary U.S. society tolerated a lot of cruel behavior against a whole host of victims, not only human. While modern U.S. society is far less tolerant of wholesale cruelty, we still have a lot of growing to do. You’re free to suggest that cruelty to farm animals, including horses, is common in Nevada County. But there are a lot of people who are raising and training those animals who would seriously object to that characterization. Even if you want to label as “cruel” what these folks are doing, it’s certainly not unusual here. Using elephants as carnival rides is simply not a normal activity in Nevada County. Not only may it be cruel, it is unusual. And, as I told Ryan: Let’s not let the perfect be the enemy of the good. In my mind, opposing using elephants in this way is a good thing. And that’s good enough for now. I would just like to concur with all of the comments posted here supporting your decision not to involve yourself or your business with a “family entertainment” format that supports the mistreatment and exploitation of exotic animals. The tide is finally starting to turn in this country about the use of elephants and other exotic animals in the “entertainment” industry. Kudos for standing up for the elephants! I think you will see your business increase because of your decision once the community becomes aware of your views. I am hoping the the fair will see a drop in business this year simply because of their decision to support HTWT and their cruel treatment of these sentient beings. County fairs are a long standing tradition in this country, but times are changing and so should the fair. Bless you and good luck! Thank you for your kind words and support, Lorrie. I really appreciate it. Thank you Frank, for you support of elephants. As a person who has cared for elephants, I can say your action is the right one. We must end the use of elephants for entertainment in fairs and circuses! I pray your story inspires others to become activists on this issue. Elephants should have our love and respect! Thanks for your comment. I’ve started hearing from folks with experience with elephants and they concur with you. Such forward thinking from a company is amazing. More companies need to step forward for others – human or animal – it is the ethical way and the compassionate way. Thanks for the kind words. We’re not the only organization applying ethics to business practices. Lots are. In fact, there’s a whole new way of approaching business known as “not just for profit” companies. That’s the way I think of Aikido’Ka. The dojo exists not only to create some income, but for the express purpose of improving our lives and the community. Thank you so much for what you are doing. You have already positively affected many people, and the poor elephants at this “fair” will have less rides to give. Many years ago I saw a video of elephants being “trained” to do tricks. One elephant was forced down onto her stomach, with each of her legs chained to the corners of the cement enclosure. The “trainers” were beating her, hooking her with bull hooks , and shocking her…all while she could be heard crying. I couldn’t sleep for many nights and have tried to educate people ever since. Humans just need to stop using these majestic creatures to make money. It is humiliating to elephants and should be humiliating to humans. I hope others follow your lead, and I wish you all the best. Thanks for the support. The story you tell is deeply disturbing. That sort of thing should never happen. Wow- someone who claims to care for animals and then backs that claim up by bowing out of a venue that is featuring abused animals, even though there could be financial repercussions from that decision. I applaud you and your integrity, Frank. You are a rare bird. The abuse inflicted upon elephants during their so-called “training” have been well documented. These magnificent animals do not belong in circuses, zoos, or anywhere where they are forced to perform for people. That so many elephants have been rescued from terrible situations and placed in sanctuaries just demonstrates how wide spread the problem is. Shame on those st your County Fair who ignored all those who asked them not to offer these rides. Guess they can’t be bothered to show compassion for animals. The bottom line is all that concerns them. Thank you for the kind words of support. We’re working to do the right thing here at Aikido’Ka and it’s gratifying to know that people appreciate it. I must admit that reading a letter by a lawyer was interesting, for once. Very thoughtful and insightful. I appreciate your stand for these elephants. I can only hope that it will do some good. I’m glad the letter was interesting and not ruined by my lawyer-iness. Thanks for your kind words. Thank you for your kindness, understanding and willingness to stand up for your principles. Its an increasingly rare commodity to have a strong backbone these days and truly applaud & admire you for possessing one ! You’re welcome, and thank you for the kind words. Great letter. Since the elephants are coming we as a community must let Governor Brown know that the “Fair Board” who is appointed by the governor must be removed. We can’t let a board with this mentality continue in office. This board has brought unneeded disharmony to our community. Shame on them. Some years ago I lived in a mountain community that had an elephant show every year. The show was sponsored by our local Rotary Club. When the club learned how badly elephants are treated by these traveling acts my Rotary Club voted to not bring the elephants to town. Several months later this same elephant show was in the Town of Yucca Valley. One of the elephants went on a rampage through town. It took hours before the animal was subdued. Thanks for the info. A note to the Governor is a good idea.